It is so easy for us to forget our past as individuals and the lessons learned and get caught up in our today and our concerns for our tomorrows. If you take time to remember you will see the footprints of God following behind you. He is there in the background orchestrating events around you trying to get your attention focused on Him. He allows you your wilderness experience to humble you and test you…to know what is in your heart. When you come to know Him as Lord and you look behind you; there are still only one set of footprints in the sand. But they belong to God for He has promised to carry you all the way home. Now the path forward is easier because He leads you. The 3rd World Christians are poor, they suffer, they starve, they die continually…they have nothing compared to us in terms of worldly goods or Freedom. Yet these Oppressed Christian brothers and sisters have something the western nations seem to lack…True Faith. God has said that the poor, the widow and the orphan will always be among us. They are the Oppressed that live by every word that proceeds from the mouth of God, they are the Meek that shall inherit the earth. When you have nothing, you have a whole lot of nothing to share with others. When you have nothing and you know God, you have a lot of God to share with others because that’s all you have. When it’s all over only three things will have made a difference in the life I have lived for Christ. I have fought a good fight. I have finished MY course. I have kept the FAITH. Precious Little ones taken from their womb. Our daughters and sons we will never know on earth. Precious Little Children dying from diseases. Our daughters and sons we held and loved for only a little while on earth. Car Accidents, Gun Shots, Murder, drowning of Teens raised by the World, for the World by Parents without understanding who His Son Jesus is or came here to do for them. Young Couples Just Married, then a car accident taking one away in death. Young Couples with small children, then a car accident tragically killing 2 of their 4 children. Parents in their 30’s- 40’s – 50’s. Disease or a car accident taking either lives leaving only 1 parent to raise their children alone. Grandparents dying one at a time, leaving the other alone for the rest of their life on earth. Watching in the mirror as their physical body deteriorates one day at a time. Beauty, Strength and their minds ebbing away like the relentless tide coming onto the shore….without Mercy, or Peace until they too die. The above are chapters in our individual Books of Life. We are told the lie that “This is Our Best Life NOW”. The SADNESS for the Many is that we believe the Lie of Lucifer / Satan and refuse to even investigate the Truth of the Word of GOD in Scripture. The Babies in the Womb, go instantly to be with GOD Forever in HEAVEN. Your Little Children, go instantly to be with GOD Forever in HEAVEN. Your Teenager, goes instantly to Hell to be where GOD is NOT….because you never raised them to Know or Love Jesus. Your Wife or Husband will go instantly to Hell to be where GOD is NOT….because you never told them of your love for Jesus because you thought living a Godly life would do that. Your Ancient Mom or Dad will go instantly to Hell to be where GOD is NOT…..because neither you nor your grown children took the time to visit them and tell them how much JESUS Loves them. That HE came for them personally to die on the Cross so they would have ETERNAL LIFE IN HEAVEN. Yet the SADDEST PART OF ALL, is that YOU because you do not know JESUS as Your SAVIOR and LORD will miss the FAMILY REUNION in HEAVEN. Everyone that goes to Heaven will have their TEARS OF REMEMBRANCE wiped away personally by the HAND of JESUS that took the Roman Spikes for them on the Cross. Their Mercy will be too FORGET YOU FOREVER. YOU will have no Mercy. You will watch the RERUN of the Life You Lived on Earth FOREVER Alone in the Darkness. YOU will have become ONE of the ETERNAL FORGOTTEN. Don’t you think with such Pain and Suffering awaiting you the second after you die that you could invest a FEW HOURS of you time NOW to read GOD’S Love Letter to YOU, contained in HIS BIBLE. The Scripture is the “GREATEST STORY EVER TOLD” that few read, yet their Eternal Life depends on it. If you won’t read it for your sake, then read it for the sake of ALL those you LOVE. Because if you don’t they will become the FORGOTTEN With YOU FOREVER. 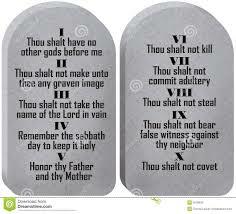 Which of the following is the One Un-Forgiven Sin that will not let you into God’s Heaven? Do you find yourself in the list? Maybe you’ve committed none of the above, but I know you have gone their in your mind, because I have. Christ said committing any of the later in your mind is enough to condemn you; but not enough to sentence you to hell forever. All are sin, but all can still be forgiven. How bad must you be for the Gates of Heaven to remain shut before you? It’s about recognizing your sin and your need of a Savior. It’s about unifying your Mind and Heart in Faith. It’s about Believing that Jesus is who he said he was. Christians and the Church today, in growing numbers, no longer have a Biblical Theistic World View. The Godless culture all around us is winning the battle for the minds and hearts of people and their children. They don’t believe the Holy Spirit is a real entity. Christianity revealed to us by God in His Holy Scriptures. So what is the ONE UNFORGIVEN SIN? But Never ACCEPTING HIM as Your Personal SAVIOR. We all began to fall apart within the first 60 seconds of our birth. God made us Clay Pots. 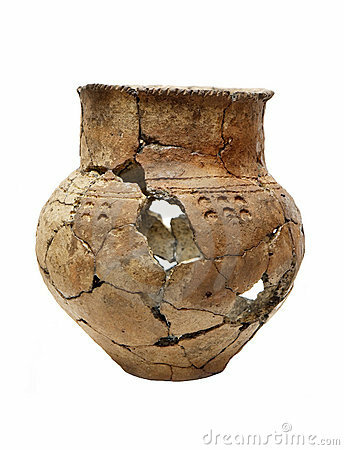 The Clay Pots of ancient days not only contained water but also candles. When we are young the light from our clay pot only goes upwards, and we tend to keep it to ourselves. Then God lets life happen to each of us, both sweet and bitter things filled with sorrow, but also joy. As we mature the pots begin to crack. Slowly but surely the light inside begins to shine out around us. Unlike the young who shine a candle in the darkness; we who are old live in vessels that have great cracks. Our light that shines is like a beacon into the darkness around us. The greater the cracks in our clay pots the more we shine forth HIS Light to others around us…which is what we each signed up for when we joined the Spiritual War of the Ages for the hearts of everyone we love. Because you and I are older, we are part of the special group of people that are closer to going home because of the limited number of years we have left to serve the God who knew each of us before the foundations of the world were made. How great to think that our best years are not behind us but in front of us…to be with the Lord for Eternity. And to know that when the Clay Pot that housed us finally crumbles we will be set FREE. I am old yet young at 67 and I am more excited about the future than I am about the past. I look forward to His wiping away all my tears, and then serving HIM for Eternity as I explore the UNIVERSE He created just for me and for you. Someday the Last Child of God will believe in the SON of GOD and we will all be home together with each other, but especially with Jesus. Until that day comes I am ready to pick up my cross daily and do all that I can to STAND ALONE for JESUS and let my light shine like a PILLAR of FIRE in the Desert of Shadows all around me. There are 2 topics the Church rarely teaches on. Heaven and Hell. For every one time Jesus spoke on heaven, HE spoke 3 times on hell. Both are important for you to understand as a Christian. Our Blessed Hope is JESUS not heaven; but heaven is the icing on the cake. Learn about where you will spend Eternity and have JOY Every Morning. 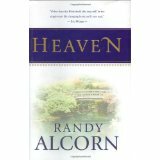 I recommend Randy Alcorn’s book called “Heaven”. I also recommend the Audio Version of his Book. The following is an excerpt. In order to get a picture of Heaven—which will one day be centered on the New Earth—you don’t need to look up at the clouds; you simply need to look around you and imagine what all this would be like without sin and death and suffering and corruption. God tells us about Heaven in His Word, not so we can shrug our shoulders and remain ignorant, but because He wants us to understand and anticipate what awaits us. God’s ultimate plan is this—not to take us up to live in a realm made for Him, but to come down and live with us in the realm HE made for us. We are not going to go up to live in God’s home forever, God will come down to live in our home forever. Only The Truth Will Set You Free ! Jesus, his life, death, resurrection and ascension really happened in time and space. It is the most documented Historical fact in the ancient world. Yet people choose to ignore the facts and choose not to believe. In fact people are so busy in their daily lives trying to build their mini empires of things, things that they will leave this world without; that they will not even take the time to understand the God/Man who came back from the Dead. This darkness is not a physical darkness you can see, but darkness of the soul and mind causing us to see life through a mirror dimly. God has said, the time will come when we will see everything that is wrong become right and what is right become wrong. It refers to a moral decay, whose time has now come. In the Judeo/Christian Bible the God who created everything provides us a summary of mankind’s history …past, present and future. It represents man’s beginning as a corporeal being to his becoming a spiritual being that will live forever. Authority over all mankind and His creation. Genesis 3: Mankind rebels against Gods Authority. His Authority over all mankind. That history includes the pre-flood era. When mankind walked in such darkness, and Sin that God chose to destroy all mankind except 8 people. When the Book of Revelation mentions “and the Sea will give up its dead”; I believe it is referring to pre-flood humanity. The Book of Revelation speaks about the destruction of mankind again. This time it will not be by water, but by fire. But instead of only 8 people surviving, God in His mercy and grace has spared a Remnant of people throughout history, billions of people throughout time that will inherit eternal life in heaven through faith in his Son. God has given us the equation to understand the difference between the Few who are saved and the Many who will perish. 1/3 will gain Eternal Life and 2/3 will gain Eternal Death. Who but God could have come up with it…. GOD BECOMING A MAN …so HE could rescue some of us. “Some of us”, because His word tells us there will only be a Remnant (a few), who will take HIS outstretched hand and be saved. Darkness fills our time but we wait for the Glorious day when time is no more and the Dawn of Eternity will break. We wait patiently, in peace of mind and heart, able to Stand Alone in Faith awaiting our coming King….because we believe that the Bible IS God’s Word…and God never lies! Are you part of the 1/3 Remnant who have been Born Again and have Eternal Life? Or have you chosen to be part of the 2/3 that will have Eternal Death? The paradox is that the CHOICE is yours…God will only confirm YOUR CHOICE in the end. How is it possible NOT to know who HE Is? I find it interesting to think back to the Triumphal Entrance of Jesus into Jerusalem. Jesus came humbly and meekly sitting on the back of the foal of a donkey. (Zechariah 9:9). The crowds were crying Hosanna…Blessed is He who comes in the NAME of the Lord ! Peace in Heaven and Glory in the Highest! Over and over again the crowd chanted in the Name of the Lord. Did you catch that thought? …even the Stones know the NAME of Jesus. As a believer you no longer walk this road alone, but you are always in the company of the Holy Spirit who is IN you and empowers you and guides you on your journey home. This journey of life you are on has a predetermined purpose designed by God for you. God’s promise of life to you means more than this short physical life you now have. He promises you that you are an eternal being and that your life will never end. He created you to live forever. And I remind you again that even the Stones know who Jesus Is. How much more should those of us who are the Living Stones of His Church… KNOW HIM…and OBEY HIM? The sun will rise and the darkness will flee. The Earth will rejoice and the leaves of the trees will clap their hands for joy. The animals will live together in peace. The angels will sing once again. All of Gods Born Again Creation Will Rejoice. If you know the Son of God personally as your Lord and Savior you will be free from sin forever, and your name will be found in the Lambs Book of Life. And, then the God who called you forth out of nothing will welcome you home with open arms and nail pierced hands. And for the first time in your life you too will know who Jesus really IS, because your walk by Faith will now be a walk by Sight, Forever More. Satan was cast out of heaven to earth and he then began the War of Ages against God and those made in HIS Image…US…Earth Dwellers made of dust. One third of the angels created by God revolted. This small host of dark angels followed satan down into the garden to tempt mankind. And mankind’s souls filled with light would now become souls filled with Shadow’s. So began the true dark ages of mankind until the “Seed of the woman” would be born several thousand years later as prophesied in Genesis 3:15.
came spiritual life and a new body fitted for heaven and eternity. feeding off the growth of their family throughout the generations of man throughout time. nothing but demon angels. They would be described in Genesis 6 as “the sons of god…Nephilem”. They broke Gods command by taking wives for themselves from the daughters of men. There objective, to pollute the bloodline of mankind to ultimately stop the plan of God for the redemption of the race of Adam…to stop the coming birth of Jesus the Messiah. With the demise of superstition and the rising up of technology and science man can no longer believe in the gods as they existed in ancient days. Yet their echo can now be heard again from the sands of time-gone bye. The wind is beginning to move and uncover them again. There is an old familiar stench carried by the 4 winds that flow over the course of this earth. The stench of greed, immorality, perversion and pride permeate the winds. These minions of evil rise up on their haunches like the wolves that they are and pick up the scent of man once again. They come now among us to feed again. They too know the words of the Bible, and they tremble at their fate, and they also fear the God that made them. They too know that God said that He would come back again when the world became continually evil as in the days of Noah. fact is that Science and Technology have become god. But, the ancient gods are smarter than man and they will come again on this world stage and draw mankind into the final lie that mankind will believe. Man demands answers about who he is, what he is, where he came from, why he is here…. those answers are on the way…they will arrive very soon…. they will come from the heavens…. you must watch the sky…they will be answers you want to hear… but they will be the wrong answers…lies from the pit that the many will believe. that will replace our dead heart with a new one, that will eliminate the shadows in our soul and fill it with light…and will give us entrance into heaven to live eternally with the God who created us in LOVE and for Fellowship with HIM. Choose Eternal Life. CHOOSE JESUS. There have been times when I could not feel His presence. They were times in the desert, when He seems to be silent. These were the times I had let go of His hand, times when I did not call on His Name. Yet even then I knew He is there, always waiting patiently to be wanted. Always with an extended hand reaching out for me to take hold of. Even people of Faith can get lost sometimes during this journey called life. Although we cannot loose our Salvation, we can decide to stray from His chosen path for us and let go of His hand for a while. That is why it’s been so important for me to reflect on life and the past. It has been said that only through pain do we receive wisdom. Before I believed in Jesus I faced storms alone. These were the times when I experienced the Silence of God. The waves of the sea grew up before me like mountains. The tears that continually flowed from my eyes were dried back by the howling winds. The thunder absorbed the cries of my heart. The lightning shown around me only to illuminate the darkness that surrounded me with no escape…I was alone. I was not a True Seeker of the ONE TRUE GOD. The God who only hears the cries and prayers of those who SEEK HIM, with all their heart, soul and mind. These were the storms of life I faced before I knew Jesus as my Savior and Lord. People think when they become a believer that the storms end. For me they only grew worse. But now I was no longer alone in the storm, because the HOLY SPIRIT lived within me. Jesus wipes my tears not with the howling wind but with the gentle touch of His hands. He hears my heart cries and reminds me that He never promised there would be no storms, only that He would be with me in the storms. When the lightning flashes it does not illuminate the darkness around me but shines on the path I need to walk on to get through the storm. As in the poem Footprints, when I look back on the path through the storm I only see one set of footprints. They do not belong to me, they belong to my Savior who has lovingly borne me up and carried me through the storm. Listen. Can you hear the beating of two hearts that now beat as one? If you have been born again then the heart of God and your heart now beat as one. You have joined the circle of life. A circle with no beginning, like a wheel within a wheel; ever spinning never ending. People think in terms of life and death, but in truth even in death there is life. You will continue your existence…you will forever be you. As a new believer The Lord of the Harvest has come to you personally in your darkness and whispered your name. He whispered my name in 1985 and for the first time at the age of 38 my heart beat as one with HIS heart. 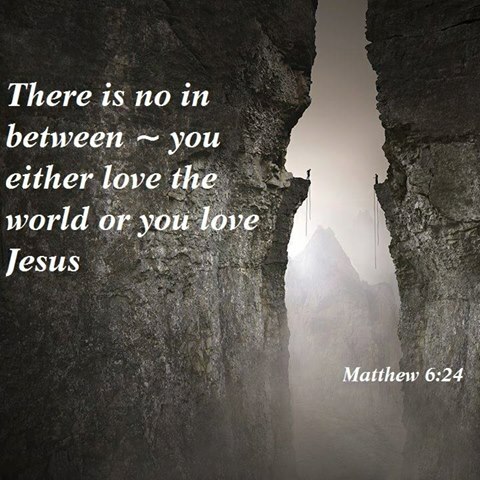 I responded in Faith to the God / Man in whom both worlds (heaven and earth) were blended. It did not just happen, my coming to faith in Christ. I had heard His whisper my entire life, for God has said that He placed eternity in the hearts of every person. He did this so we would be without excuse as to who He is when we stand before Him after we die. There is but one important question we must answer in this life. Jesus asks each of us “Who do you say that I AM?” You cannot answer this question without going to the source of knowledge about God and His Son Jesus. The answer can only be found in His Autobiography…the Holy Bible of the Judeo/Christian Faith. The Bible calls this Savior of mankind Immanuel, which means God with us. There have been times in my life when I have felt His presence. Times of Joy, times of sorrow, times of pain; but most of all during times of storms.